Corded telephone system. Wall mountable. Call Ringer switch: high, low or off. 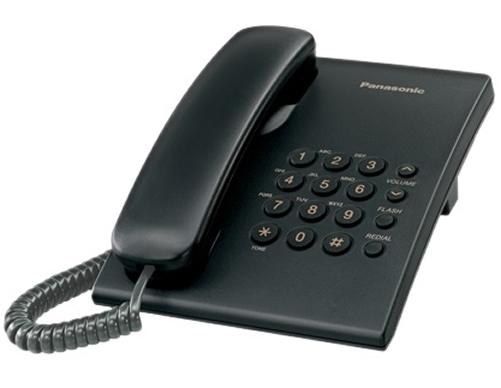 Handset volume control (6 levels). Dimensions: 96 x 150 x 200 mm. Color: Black.